As shown by numerous researches by developmental specialists from around the world, sharing a bed with his or her parents, has a relaxing and calming effect on a baby – especially during the first year of life. 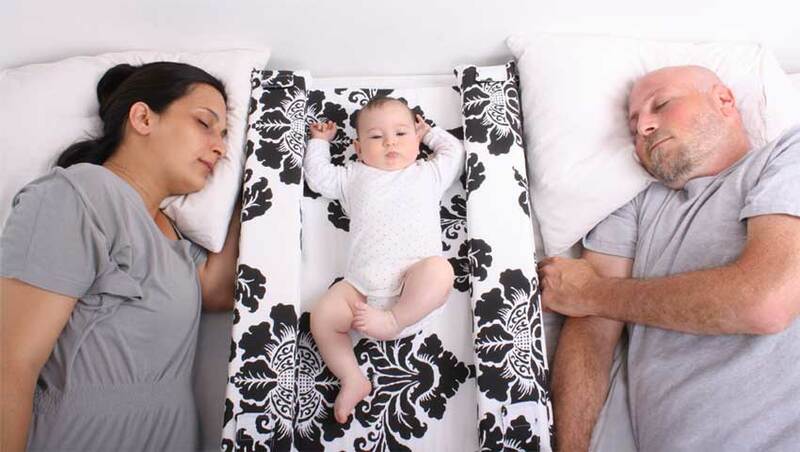 In the western modern society it has become conventional for babies to be separated from their parents during slumber – either in a separate bed or in their own room. On the other hand, throughout history, and even today in many cultures, parents share their beds with their babies has been the rule rather than the exception. Co-sleeping allows for a direct connection and affinity between parents and child – especially at that young age. For your little one, hearing your heart beats, feeling the warmth of your body and your breath this close to his or her tiny body, brings up pleasant memories and sensations form the womb – which helps create an environment of safe relaxation during sleep. Many parents, who like you understand the benefits of co-sleeping, have expressed their concerns that if they sleep with their baby in the same bed, they might hurt their tiny unprotected baby if these parents toss or turn in their sleep. These apprehensions are of course understandable. However, with Mitata, you can enjoy the best of both worlds, by allowing your baby to benefit from the advantages of co-sleeping and still know for yourself that your tiny beloved is safe and protected. 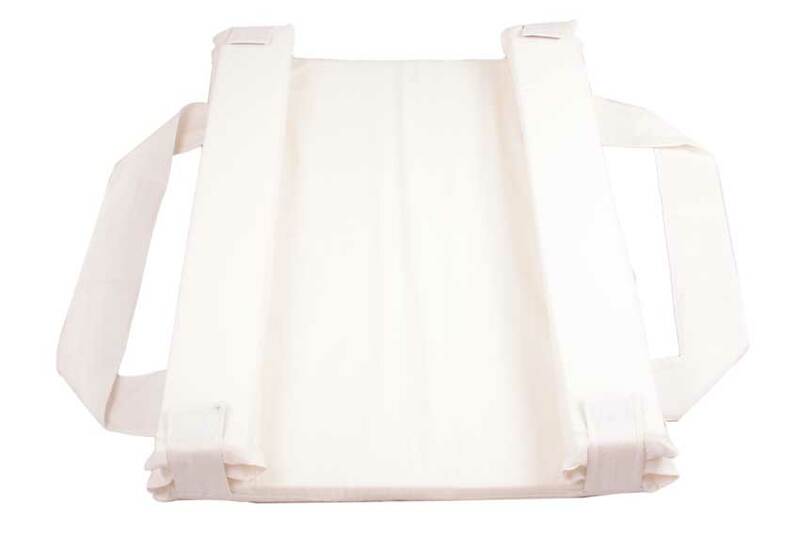 Mitata is a portable cot and baby mat, with thick stoppers on both sides (see images), which protect your baby from rolling out of the cot. 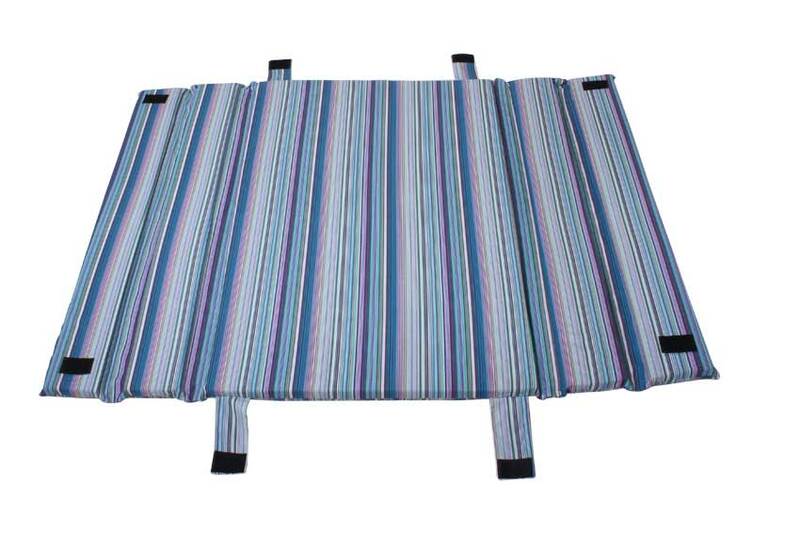 In fact, you can just place Mitata in the middle of your bed, or any surface that is wide enough, without worrying about the little one rolling off that surface when you’re not looking. 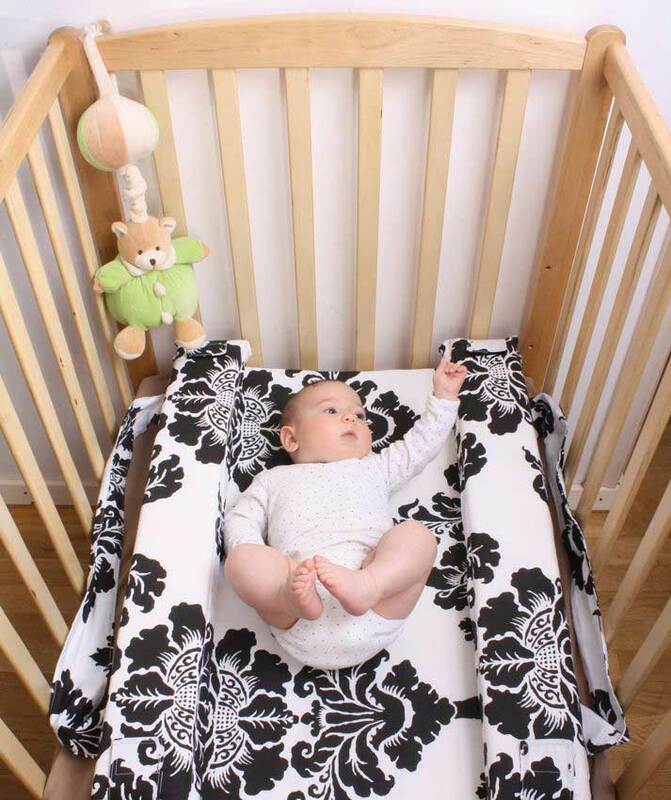 * Of course, you should take every proper precaution before placing the portable cot, that the surface is sufficiently wide and stable so that both the cot and the baby are safely positioned. 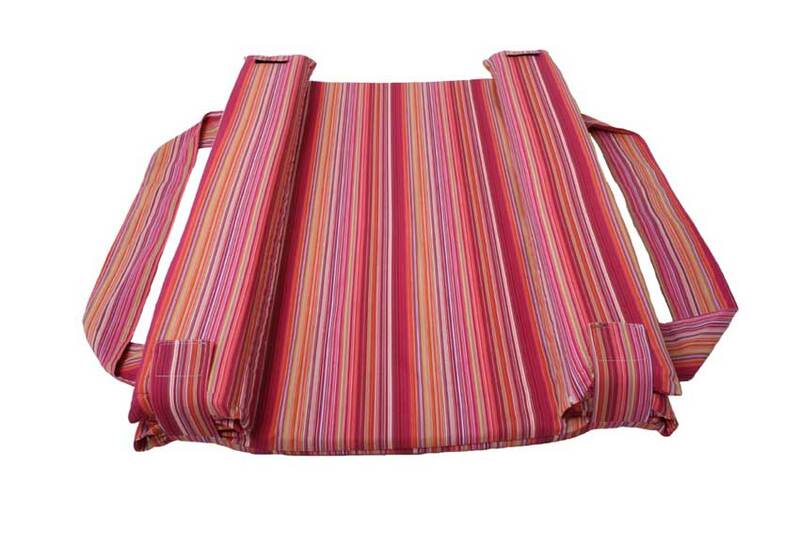 ** NEVER leave your baby unattended on a narrow or unstable or otherwise unsafe surface! 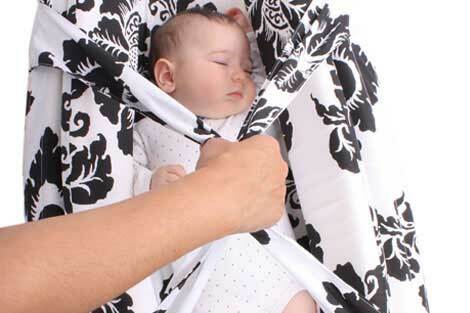 The stoppers on both sides of the Mitata protect and shield your baby from motions and tossing you or your partner may do while you sleep, so that you all can enjoy a sound and safe sleep together. If you are breast feeding, then you will find Mitata’s unfolding side stopper very easy and comfortable if you want to breast feed at night. 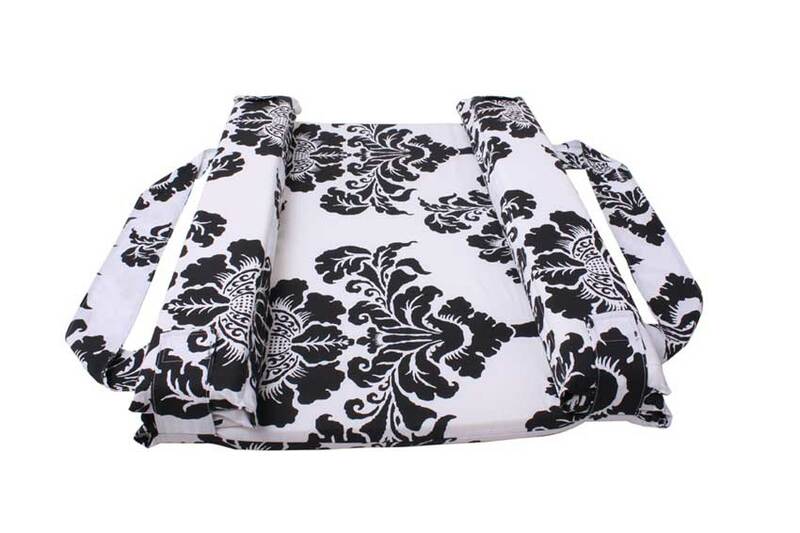 All you have to do is undo and unfold the Velcro fastened side stopper, and feed your baby in bed. You no longer have to get out of bed to sooth your little on if you hear crying at night – firstly, because with the relaxing effect of sharing a bed with you, and secondly, because you and your partner are right there to calm and soothe whenever necessary. Mitata is so easy and simple to use – no more rolled blankets and pillows all over the bed, no need to rearrange or reorganize the bedroom. 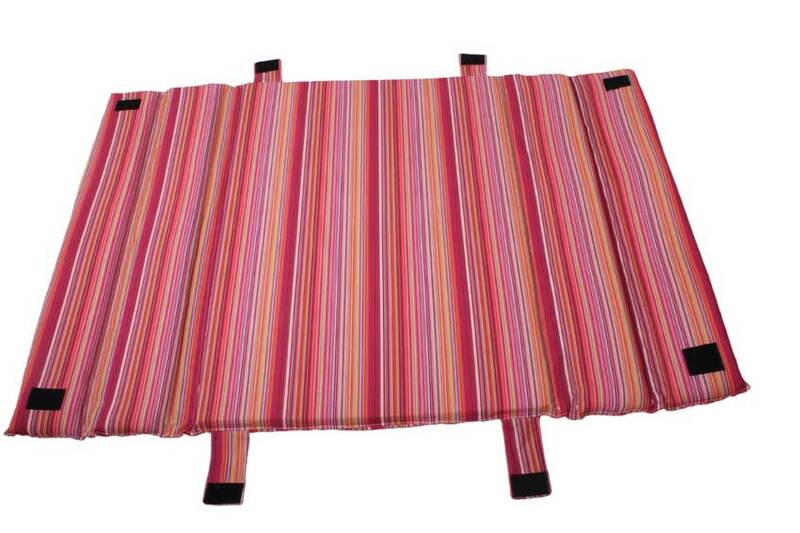 Simply place the Mitata in the middle of your bed, and you’re set. Mitata is equipped with strong soft handles, which make it the perfect portable cot for when you want to carry a sleeping baby with you to another room. 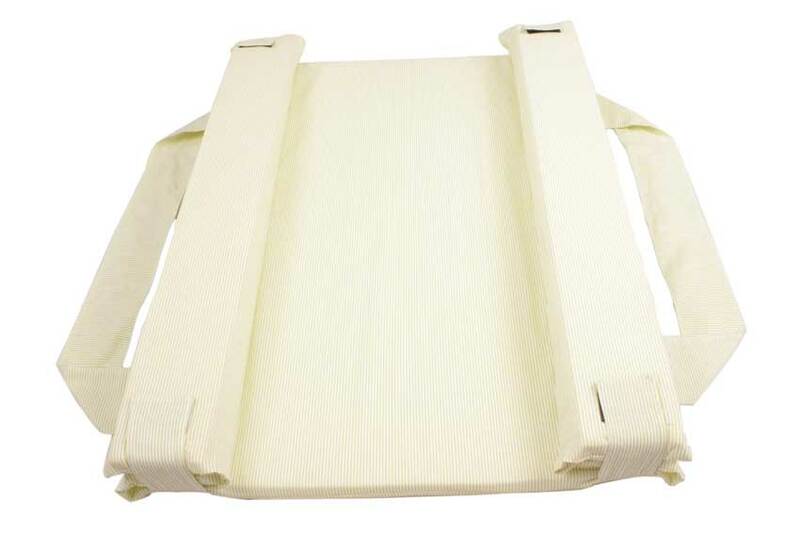 Mitata can also be used as a baby mat, so that if you want to take your tiny darling to a baby cradle, you can just grab the handles and carry Mitata with your baby inside (it’s perfectly safe) straight to the cradle, without having to remove the cot. 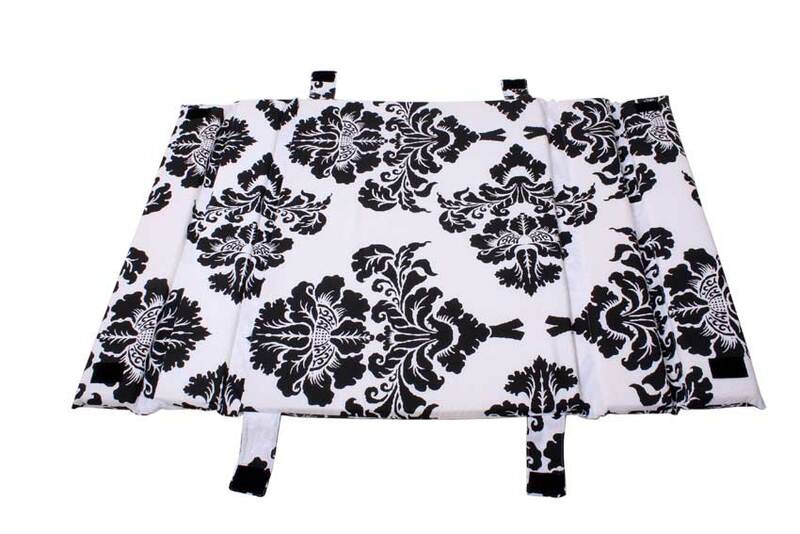 Mitata can be easily machine washed, or cleaned with baby wipes if something spills over it. 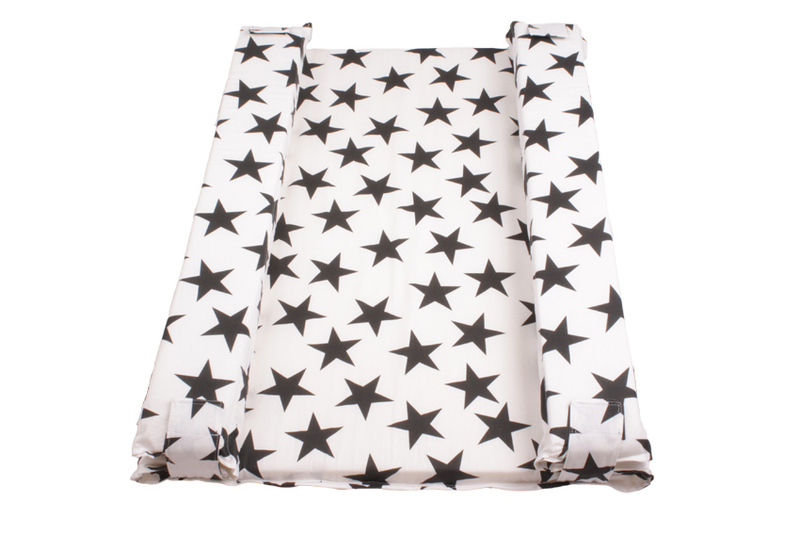 You can even use Mitata as a play mat – just unfold the stoppers on the sides, and you have a soft activity mattress to play with your baby on. No plastic, hard metal or wood. The Mitata is made of 100% gentle cotton, so your baby can feel the soft comfort of the fabric during sleep or play time. And enjoy all the benefits of co-sleeping with the safety and simplicity that this baby cot offers. 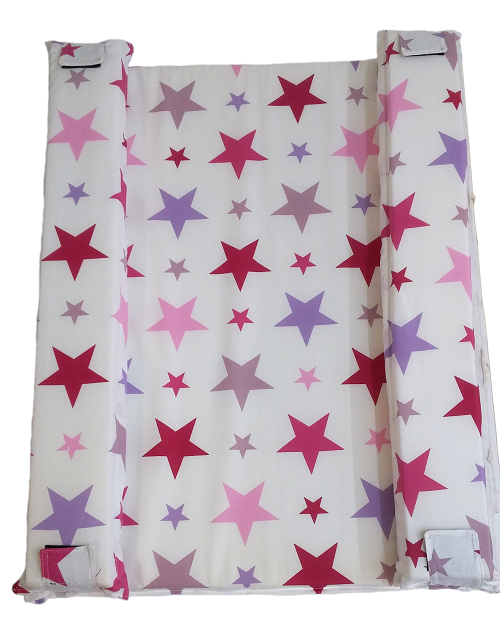 Fully opened: Length (side to side) 42 inch /107 cm, width (head to toe) 21 inch /53 cm, height 2 inch /3 cm. 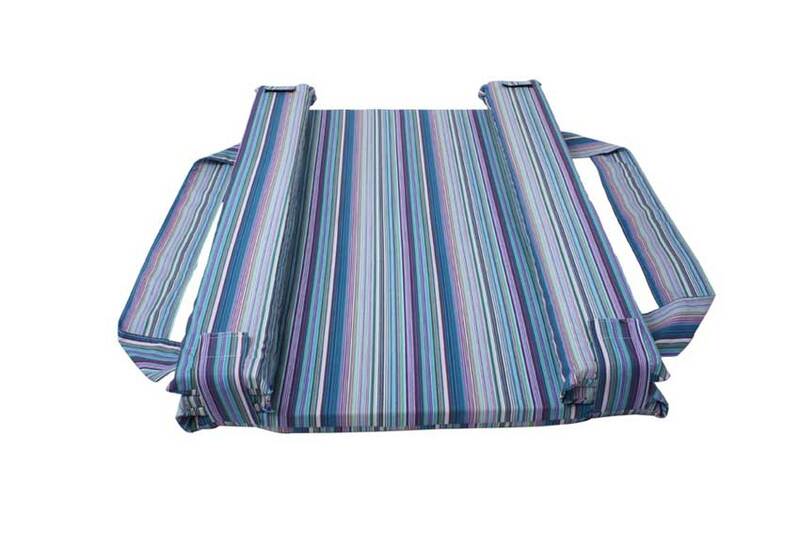 Sides folded: Length (head to toe) 21inch /53 cm, width (side to side) 21 inch /53 cm, height 3 inch /7 cm. Weight: 570 gr. / 1.2 lb. Fabric: 100% cotton. Filling: Polyurethane foam (foam mattress).